An American pastor who has been imprisoned in Turkey since last October is pleading for President Trump and his administration to work more fervently for his release. 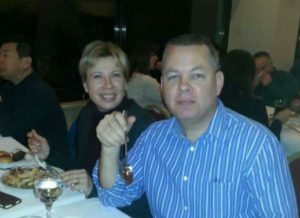 As previously reported, Brunson and his wife Norine, who have been living in Turkey for over 20 years, were detained in Izmir in October. They were accused of having “membership in an armed terrorist organization,” specifically Fetullah Gulen, which is believed to have instigated a military coup against the government in July. Brunson leads Protestant Resurrection Church in the city. According to World Watch Monitor, Turkish authorities have detained and/or jailed thousands in their efforts to find those behind the failed coup. While Brunson’s wife was released 12 days after being taken into custody, in December, Brunson was escorted into court, being told that a “secret informant” had accused him of involvement in terrorism. He was then imprisoned and has reportedly had little connection with the outside world. Last month, 78 members of Congress signed a letter, spearheaded by the Senate Foreign Relations Committee and the House Foreign Affairs Committee, expressing their belief that Brunson is innocent and that his incarceration is unjust. It called upon Turkish President Recep Erdoğan to immediately release the pastor. Congress lamented that the Turkish government has thus far been unresponsive to concerns. Brunson made similar notations in his remarks last week. “[T]he Turkish government has produced no proof and has rebuffed numerous attempts by the American government to secure my return to the United States. In fact, they are treating the U.S. government with contempt and paying no price for it,” he said. The ACLJ is currently circulating a petition calling for Brunson’s release. Brunson’s wife was also able to meet with U.S. Secretary of State Rex Tillerson on Friday during his diplomatic trip to Ankara. “I do not know what will come of it, considering the sensitive period Turkey is in, but was grateful for the opportunity,” she said.